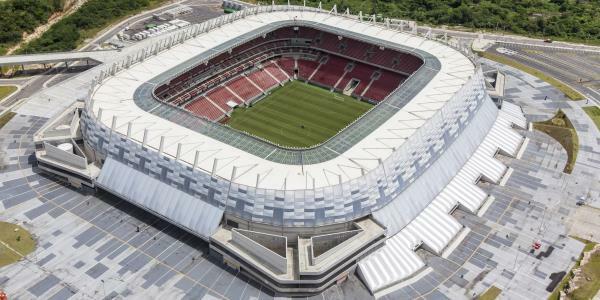 The Arena Pernambuco officially opened on the 22nd of May 2013 with a friendly match between Náutico and Portuguese side Sporting CP. 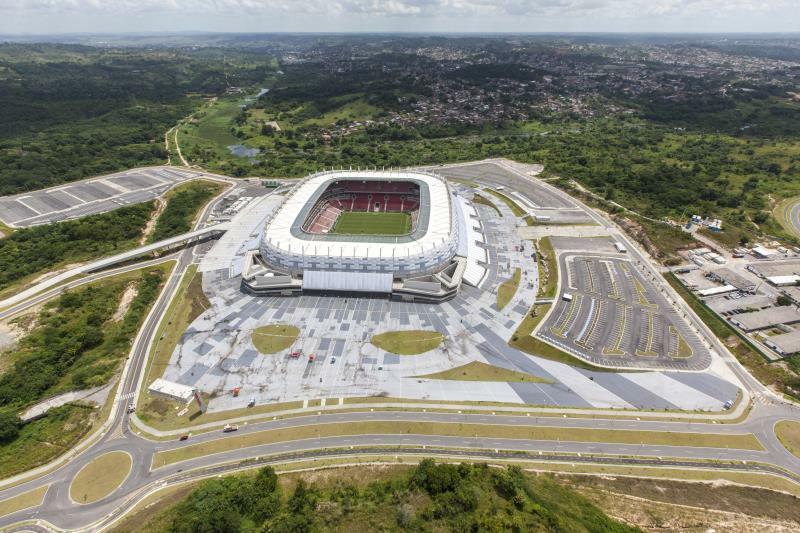 The arena came at a cost of R$500 million, which was financed by a public-private partnership between the state of Pernambuco and a consortium led by construction firm Odebrecht including event management firm AEG. The latter will exploit the arena for multifunctional purposes. The naming rights were sold to beer brewer Itaipava. 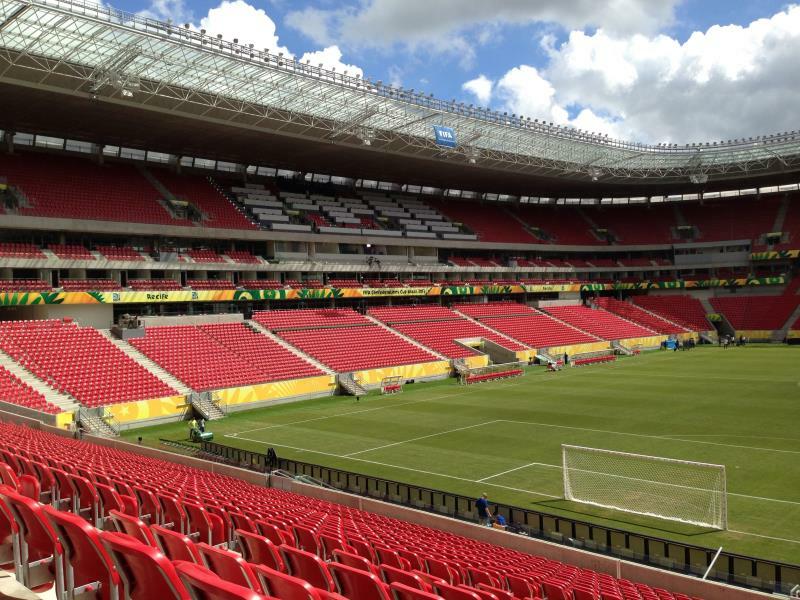 The Arena Pernambuco is scheduled to host five matches during the 2014 World Cup, of which one of the round of 16 matches. 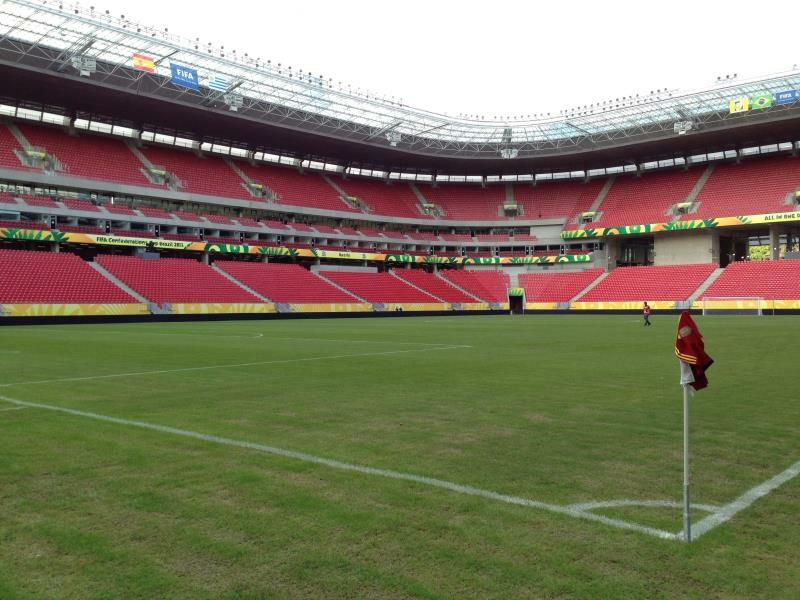 It was also one of the playing venues of the 2013 Confederations Cup. The Arena Pernambuco is located in São Lourenço da Mata, a suburb of Recife about 18 kilometres west from downtown Recife and a little more from the well-off Boa Viagem beach zone in the south of Recife. One can get to the Arena Pernambuco by metro. Station Cosme e Damião lies an approximate 30-minute walk away from the arena on the other side of the Capibaribe river. Cosme e Damião is one of the last stops on the orange (1) branch of the Centro line, which can be caught from station Recife (Estação Central) in the centre of Recife. If coming from the airport or Boa Viagem, one can take a metro on the blue Sul line and transfer at Recife to a train on the Centro line. 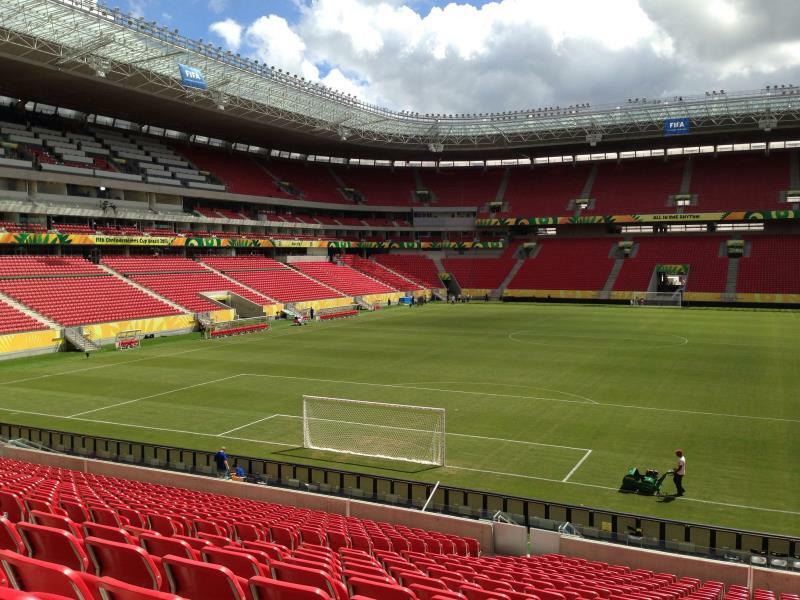 The Arena Pernambuco is located in a lush green area near the suburb of São Lourenço da Mata outside of the city of Recife. It lies close to the river Capibaribe and is surrounded by forests and farmlands with the working class neighbourhoods of São Lourenço da Mata nearby. 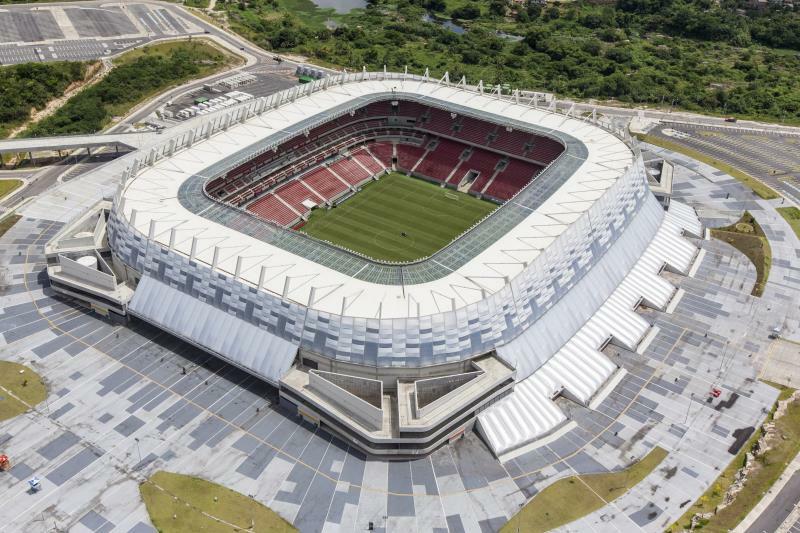 The stadium was planned to be part of a new modern urban development including entertainment and accommodation facilities, but little has been realised yet and currently there is not much around in terms of eating and drinking, which is best done in the city of Recife. Most hotels and entertainment options are in the southern part of the city in the well-off Boa Viagem area along the coast. Click here for an overview of hotels in Recife. Alternatively, if you prefer smaller towns and beautiful beaches, can opt to stay at picturesque Porto de Galinhas, which lies about 50 kilometres south of Recife. Tickets for Náutico matches can be bought online, or in person at either the Arena Pernambuco shop at the Shopping Recife shopping centre in the Boa Viagem area or at the club stand at Shopping Plaza Casa Forto shopping centre in the east of Recife. Nautico-pe.com.br – Official website of Clube Náutico Capibaribe. Cidadedacopa.com.br – Official website of Itaipava Arena Pernambuco. I’ve constructed Recife’s metro system map with tips to those that will come to Recife to see the matches.